The article below was extracted from the Winter 2014 WalkStreet Journal newsletter. To read more articles like this, subscribe to our quarterly newsletter. Walk to School Day is a nationally and internationally celebrated yearly event held every October, where schools, teachers, and parents gather together to spread the importance of walking safely – not just to school, but to any place that one may travel on foot. The event is an important part of the community effort to bring safe walking skills to our children. 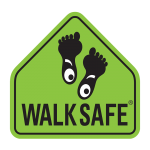 While the WalkSafe program educational material forms the basis by which children learn how and why we should walk with caution, it is only through repetition and parental support that these lessons become lifelong safety skills. These festivities help catalyze communities towards a common goal: Reinforcing safe walking skills in a manner memorable for both children and their parents. 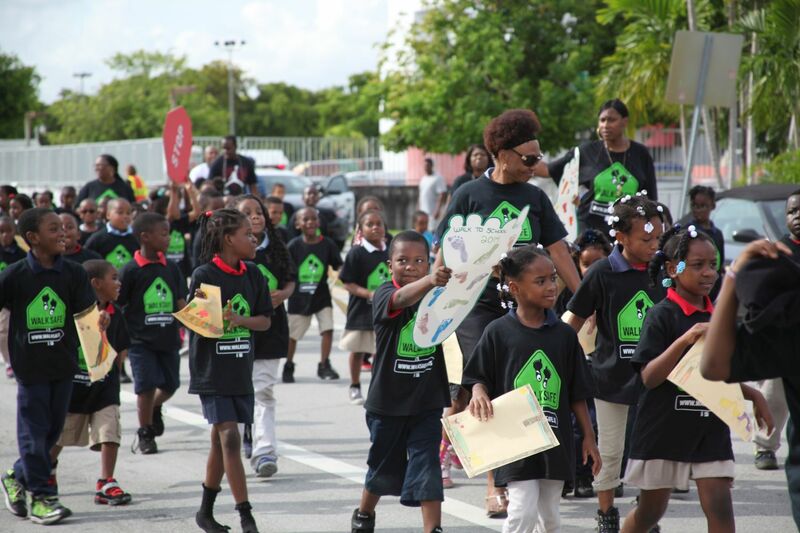 This year, 128 Miami-Dade County Public Schools (MDCPS) celebrated Walk to School Day on October 8th, 2014. Two very memorable events were hosted this year: M-DCPS Chair Perla Tabares Hantman’s event at Meadowlane Elemnentary, and WalkSafe’s biggest outreach of the year at Hibiscus Elementary. Both schools take safe walking to heart, and are active partners with the Miami-Dade County Metropolitan Planning Organization, working to develop school walkability improvements for the years to come. Chair Hantman was joined at the Meadowlane event by Superintendent Alberto M. Carvalho, District Director of Physical Education, Dr. Jayne Greenberg, and school Principal Kevin P. Hart – amongst many others. Likewise, Hibiscus was represented by the Mayor of the City of Miami Gardens, Oliver G. Gilbert; Commissioner Dorothy Johnson of the City of Opa-Locka, M-DCPS Administrative Director, Mr. Andy J. Pierre-Louis, and Ms. Raquel Alexander of M-DCPS District 1. Our communities are very fortunate that our local leaders are uniquely active in investing their time, influence, and their hearts towards improving the lives and safety of our children. At Hibiscus, festivities were highlighted by the presence of Burnie from the Miami HEAT, Billy the Marlin, McGruff the Crime Dog, and Sebastian the Ibis from the University of Miami; all of whom cheered the students on as the Norland Vikings Senior High School band and cheerleaders led the perimeter walk around the school. The look of happiness and joy on the students’ faces said it all. Most importantly, they took home a reminder to walk to school safely.